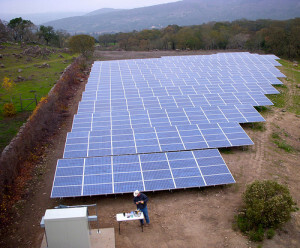 County land in North Carolina has been leased to help develop a solar farm. The project will cover a vast fifty two acres of land near the Cashie River in Bertie County, North Carolina. The land will be leased and once the project is approved, solar panels will be hauled to the area and installed as quickly as possible. The original lease plans to loan out the land for fifteen years. While many people were unaware North Carolina was taking such great strides in the realms of providing green, renewable energy, in truth, North Carolina is the second state in the nation (only behind California) when it comes to making progress in environmentally friendly ways. The Bertie County area will greatly benefit from this project. Many community members hope that the lease will be extended for an additional fifteen years.